How are you doing? I’m Kevin O’Hara for alcoholmastery.com. 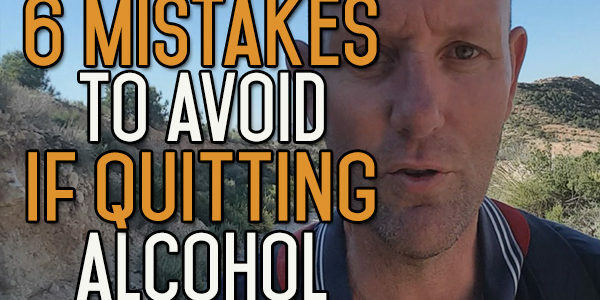 This video is about some of the mistakes you can avoid when quitting alcohol. The first mistake to avoid is to understand that it’s not about the alcohol. Alcohol has very little to do with this. Alcohol is the vehicle by which you get to the end result that you want, which is relaxation, socialising or whatever it is. Alcohol is nothing more than an inert liquid in a bottle. It’s nothing more than something which will sit on the shelf forever until the shelf falls down, or the house falls down around it, and the bottle smashes and the alcohol seeps into the ground. The alcohol will stay in that bottle. It cannot jump out and go into your mouth. It cannot make you drink the alcohol. It cannot send out telepathic signs for you to drink the alcohol. It can’t do any of that stuff. In order for you to drink this stuff, you have to literally pick up the bottle, unscrew it, pour it out and take one sip and swallow that sip. And then do that repeatedly, thousands of times in order for you to get to the stage you are now. How many hundreds of thousands of sips of alcohol did I take in my 35 years of drinking? Think about that. Each one of those sips has been under your own volition. You have deliberately taken every one of those sips. You’ve deliberately lifted the glass, poured the alcohol into your mouth and swallowed. And you’ve paid for the privilege of dong it over and over again. So, it’s nothing to do with the alcohol because if it wasn’t for the alcohol, it would have been something else. It could have been any other drug-heroin, cocaine. What this is all about is your behaviour. It’s the behaviour of you picking up the glass and taking that instant gratification way out, taking the easy route out of your problems, taking the easy route out of socialising, of relaxation. It’s down to you. It’s 100% your responsibility. So, don’t look at the alcohol like it’s a demon, like it’s got any power over you whatsoever. The only power it has over you is when you lift it up and give it the power by putting it inside your body. Only when you put it inside your body does it have that power. Mistake number 2 is that people listen to the Gremlin inside their heads. They listen to that part of them that makes excuses for them drinking, makes excuses for them to moderate and to think that moderation is a good thing to have. It makes them believe that they can moderate and there will be no problems. It makes think that once they get further into this journey, they get the ability to moderate because they’ve quit drinking for a month or two, and they can now go back and moderate their drinking. It’s by giving this inner voice more power than it should have, because this inner voice is you. It’s a part of what you say to yourself. So, the mistake is to first of all think that the voice is anything separate from you. You can name it and call it the Gremlin, the horrible little thing inside of you that you’re watching die, and it’s part of the behaviour. It’s the part of the alcohol drinking behaviour that you want to get rid of, and part of the habit you want to get rid of. But at the end of the day, it is a part of you. And the only way that Gremlin is going to be diminished or destroyed, is if you decide to do it. You have to take the responsibility for doing that. You have to make the commitment to doing that. You have to do it bit by bit. And slowly but surely, you unweave its hold on you by refusing to give in. You listen to that part of yourself that is trying to get you to go back on the booze, that part of you that is telling you that what you’re doing is too hard and you’ll never be able to achieve it. Don’t listen to the Gremlin. It’s a big mistake. Mistake number 3 is to treat your Quit Drinking as a loss, like you have lost a friend and you’re mourning someone or something that has had some great impact on your life. Alcohol has had an impact on your life all right, but it’s generally an impact which has been very detrimental to both your physical and mental health. Can you think of any area in your life which alcohol hasn’t had a detrimental impact? In almost every case, the longer you drink, the more the alcohol behaviour has stretched it tendrils out and has enveloped many more areas of your life. So, don’t mourn the loss of this as a friend. This is your enemy. This behaviour is something you need to strip out and be ruthless with. Don’t show any mercy or pity about a behaviour which wold have eventually led to your illness and eventual early death. Another mistake is just not preparing. You wouldn’t do most important things in your life without at least doing some form of preparation. Even going away on a simple vacation requires a lot of preparation in advance. Planning what you’re going to do, planning where you’ll go, how to get there, what you’ll do when you get there, all of these requires some thinking and preparation. Now this, what you’re doing now, the actual quitting drinking part is easy, it’s simple. You just don’t put any alcohol into your mouth anymore. If you do that and never put any alcohol in again, you’ve quit drinking. You don’t have to do any planning for that. The problem is that it’s the behaviour itself which you’ve got to extricate and deconstruct. It’s this deconstruction that is going to take time, and you need to plan. When you get to the end of the day and you would normally drink, what are you going to do then? Are you going to arrive at that time, are you going into your normal mode where you normally drink but you have no drink, and you’re going to think then, while you’re under pressure and while you’re having this discomfort, what you’re going to do? You should think about it while your head is straight and you’re not under pressure, while you’ve got that determination to quit. You can think: I’m not going to do that. I’m going to do something completely different. You need to prepare not only your environment, you need to prepare your mind first and foremost. Because that’s where all your decisions and choices are made. It’s where you will win or lose this battle. You need to prepare your environment and the people that are closest to you in your life. Because they need to understand what’s going to happen as well. We’ll talk about that in another video, but that’s important. So, if you don’t prepare these things, then you’re a lot more likely to fail. So, think about those areas you’re likely to put yourself into, the situations that you would drink, all the triggers that trigger you to take a drink, and make sure you prepare. Preparation from another perspective is also about trying to figure out what you’re going to do that’s going to pull you away from the alcohol drinking behaviour so that you’re not left with a vacuum. There is no such thing as a behavioural vacuum, so if you try and leave the behaviour of drinking behind and you don’t replace it with something else, then what are you going to fill it with? You’re likely to fill it with the alcohol again and give in and go ‘I don’t know what else I can do in my life’. It’s because of poor planning that that kind of thing happens. It’s a mistake not to plan. So, get a plan ready. Plan before you start. Plan what you’re going to do, where, how and who you’ll do it with. The next mistake people make is believing that someone or something outside of themselves is going to save them. People believe that they can take a course, they can read a book, or they can talk to someone and automatically, it’s going to change something in their lives which shoots them down a different direction and makes it easy for them to quit. That’s just not the way that this happens. This is a massive journey ahead of you. It’s not a massive journey of discomfort-that only happens in the beginning if you allow it. If you get yourself into the right frame of mind, and you focus your mind on the future instead of the past, on something you want to achieve instead of something you want to leave behind, then that will drive you forward. It will give you lots of momentum, and it will be a pleasure to live your life. It will be a pleasure to push yourself and have that toughness and mental resilience. If you, on the other hand, decide that you’re going to focus on what you’re missing out on, mourning the loss of a dear friend and companion – some people say that it’s like having a divorce from someone they were with and they loved and hated at the same time- this is setting yourself up for a lifetime of misery. The reason is because you’re never leaving the alcohol behind. You’re never leaving that behaviour behind you. You’re all the time planning for something you cannot have. It’s the same thing with moderation. People try to moderate. The only way to moderate is to say ‘I’m going to have the maximum amount of alcohol which is healthy for me, which is 2 pints’. But at the end of the 2 drinks, they want more. They might last with this 2-drink special for a month, but all the time, they want more. They want to get back to where they were before, to the place where they had getting drunk and having that buzz. You cannot get the buzz of getting drunk with just two. If you quit drinking for a year, and you went back after a year, then you would get a buzz out of 2 pints, but how long would that last? Your habit has a memory, your body has a memory for this kind of stuff, and it won’t be long before your tolerance levels are back to the same tolerance levels they were before. That’s why moderation doesn’t work. It’s because we have a psychological need to try and get to the place we were before, this yearning and craving to get to that old behaviour. This is the reason why we drink. I never drank for the taste of alcohol because I never liked the taste. Why would you drink something which tastes frankly horrible? It takes a long time before you even acquire that taste, to tolerate it. You only tolerate it in order to get past that, to what the alcohol offers you, which is the buzz. Remember that you need to put the hard work in the early days. 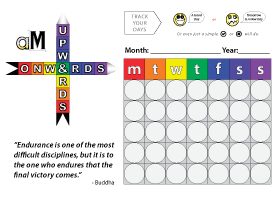 You need to discipline yourself enough to get through the first 30 days, then 60 days, then 90 days. Then you need to have the discipline to pursue the dreams you want to attain in your life, and keep pushing yourself until you get to those dreams. No one else is going to help you do that. You can get help from other people by listening to them. You can get help by people saying ‘this is a good direction for you to follow’. You could get help from reading books, from taking video courses, and listening to audio books. But at the end of the day, nobody is going to do the press-ups for you. If you want to build good strong arms, you have to physically go in daily and pump iron, or do press-ups. If you want to lose 20 pounds, it’s you who has to physically stop putting food inside your body. You have to reduce the calories going in, and increase calories going out. That’s the only way. It’s physically impossible to do this any other way. People are always looking for short cuts, and they say ‘I’ll go in and get the fat sucked out’, but what does that do? There’s an old saying that says if you give a man a fish, you feed him for a day. If you teach him to fish, you feed him for a lifetime. It’s the same thing here. 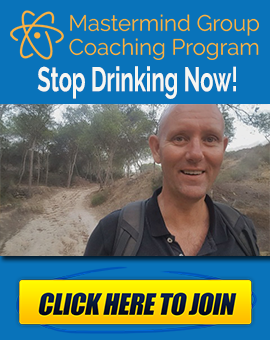 If I teach you a trick to overcome your alcohol addiction now, maybe a medication and say ‘take this, and you won’t have any cravings’, what happens? You don’t have any cravings at the moment. But once you stop taking the medication, all the cravings come back. You see this over again with people who have swapped their cigarette addiction for their e-cigarette addiction. So, they swap one addiction for another. They say ‘there’s no nicotine in it, so I’m still doing it and I’m not addicted’. So, why are you doing it? It’s not natural. You’re paying out good money to do this. Why are you doing this? You look into their eyes, and you can tell by the way they look, that they really don’t want to be doing this, and they would much rather be smoking the cigarettes. It’s because they haven’t dealt with the addiction, or the behaviour. They tried to shortcut it, and in doing so, they haven’t achieved anything. They’ve just achieved misery. Whereas if you put up with the discomfort that is inevitable in quitting drinking, if you have a plan and push yourself forward in the right direction, then you’re building resilience and distance between you and the habit. You’re not trying to uphold the habit or give it crutches, you’re trying to destroy it and leave it behind you as far as you can. Once you do that, then you’re well on your way to destroying the habit and living a good life, the life you want to live. That brings me on to my next point, which is that it’s a mistake to think that just quitting is enough, that stopping drinking and never doing it again is enough. You need to build on that. You need to put as much distance between you, who you are now, the person with the alcohol drinking behaviour that you are now, and the person you want to be. And that is my message. It’s to replace. Because if you don’t do that, you’re always going to be craving for the old habit, because there’s a big gap in your life that used to be filled by alcohol. And no matter how poisonous that alcohol was to you, it was still something that was giving you something positive. Now, it might have only been positive in a very small way, and offered you a massive amount of negativity, but we take it. That’s what it’s all about. That’s it for today. 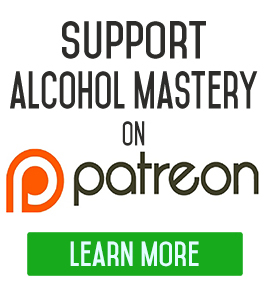 If you have any questions at all, send me an email to kevin@alcoholmastery.com. Until next time, stay safe and keep the alcohol out of your mouth. 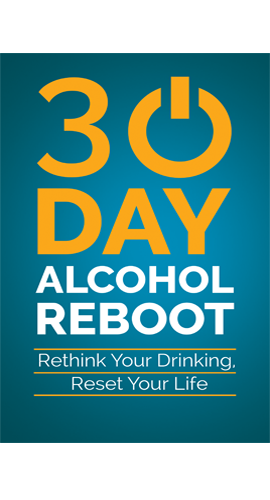 What’s the Highest Level Thing You Can Do Right Now to Quit Alcohol? I have been an alcoholic most of my life. I have been in several rehab programs, attended many AA meetings, counselling you name it I have probably done it. Nothing works. I am so addicted to it physically and mentally. I have health problems because of it but keep right on going. I have ruined people’s lives including my own. I am 57 years old. I read your article and it was the best thing! Spot on!! I am scared to quit. I need a plan!! I am a lonely stay at home mom and take a lot of prescription drugs especially for depression. Thank you for inspiring me. I hope I can quit for good!! Susan – me too! Four rehabs, years of AA and counselling, many alcohol poisoning health issues, lonely, frightened, isolated and use antidepressants. But Kevin’s words ring true! Strong and clear hope. How can we change our lives if we don’t change our lives?